Saturday was my last day in Hong Kong. I got up late, making the most of the opportunity for a lie in, and after breakfast set out for Hong Kong Island and an early lunch with an old friend. The weather this week has been much better than forecast. Saturday was a lovely sunny spring day, with temperatures up to 28C, and a cool, refreshing breeze. 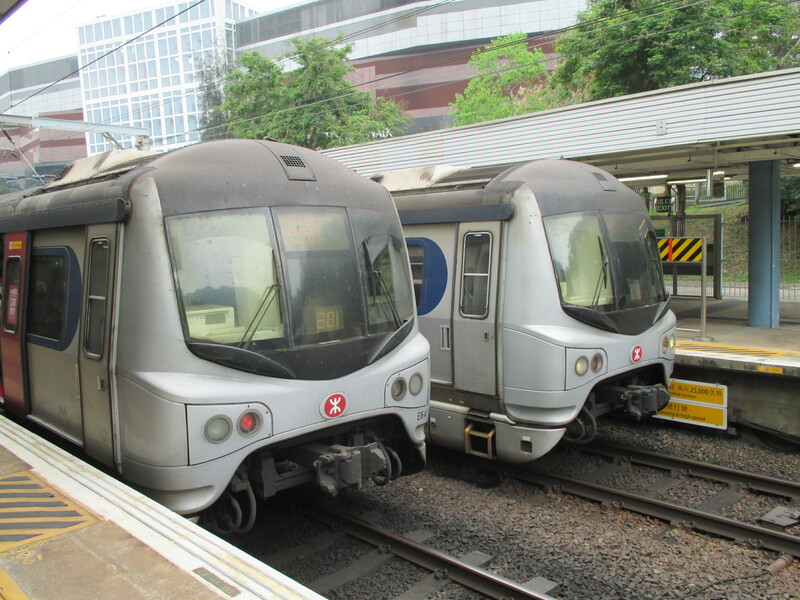 Changing trains from MTR to KCR at Kowloon Tong, gave me a chance for a few photographs. I like Kowloon Tong, as it’s a ‘regular’ sort of station. Looking towards the Hung Hom terminus, the tracks curve away to the south. It’s a normal busy Saturday on the up platform – the down side looks a bit empty as a train has just left. 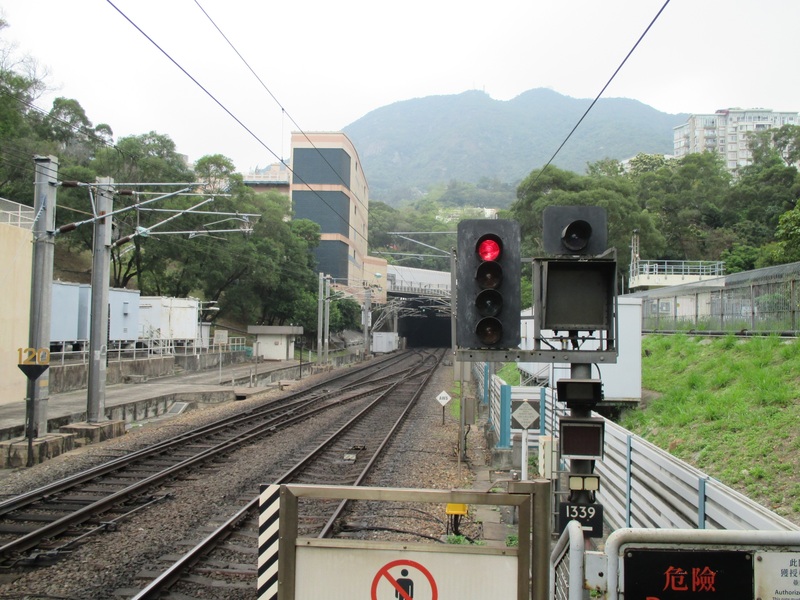 Looking north, there’s an interesting double crossover for flexible wrong-road running, the tunnel portal through the Kowloon Hills, and some interesting signals and other lineside furniture on display. It’s a very ‘green’ spot, despite being heavily urbanised. I was beginning to be told off by the station staff for standing over the yellow line to get this shot – they kept playing the ‘keep behind the yellow line’ announcement in English rather than in Cantonese. I guessed it was aimed at me, but got this video of a train coming south. And a nice view of trains waiting in the station…. 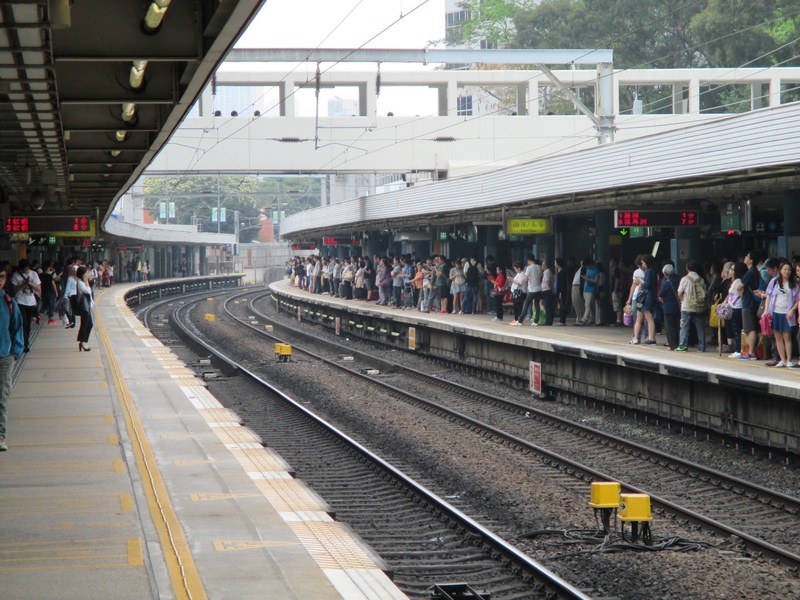 I was hoping to get a video of the Hong Kong to Guangzhou through train coming south – I’d checked the timetable before setting off and one was due. But a small lady was sent down the platform to tell me to move behind the yellow line – and tell me very nicely, I must say. So I was about to give up on the China train, when I heard one coming from the opposite direction. Obviously the timetable had changed. So I got this video instead, without getting anywhere near the offending lines! At this point it seemed prudent to leave Kowloon Tong before the station staff got too unhappy. So I jumped on the next train south. More in the next post…..